Slow Cooker Buffalo Ranch Pulled Pork - throw 3 ingredients into the slow cooker and let it do all the work. Great for tailgating or an easy lunch or dinner. Serve on slider buns or over nachos or rice. Can freeze leftovers! 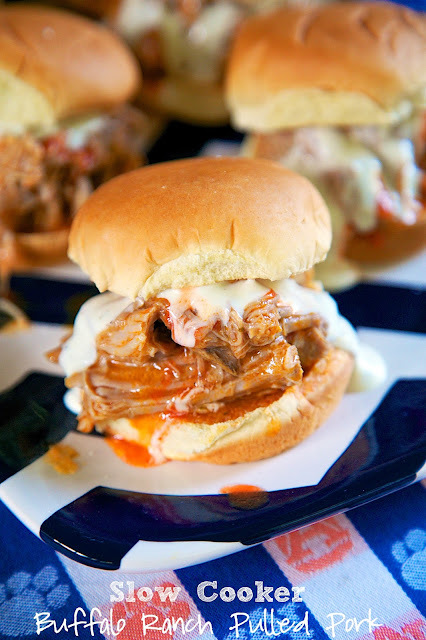 I am officially obsessed with this Slow Cooker Buffalo Ranch Pulled Pork. It is SO easy and SOOOO delicious! It is great on a bun, on top of nachos and even by itself. This makes a ton, so there were plenty for our tailgate. I loved that I just threw three ingredients in the slow cooker and let it do all the work. Once the pork has cooked all day, I pulled it out and shredded it with two forks. It shredded very easily - it was super tender. Make sure to discard any fatty pieces when you are shredding the pork. I just threw the fatty pieces down the drain and let my InSinkErator Evolution Excel Garbage Disposal dispose of it. You can't get any easier than that! 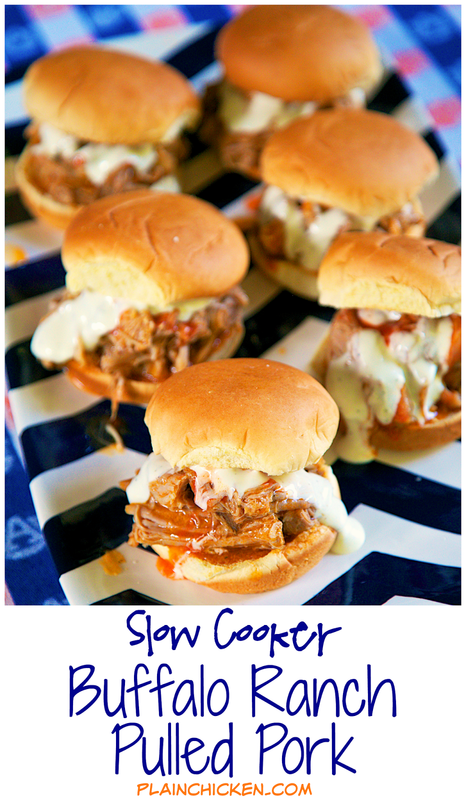 This is a great tailgating recipe, but this is also great for lunch or dinner. If you have any leftovers, freeze them for a quick meal later. Place all ingredients in slow cooker. Cover and cook on LOW for 8 hours. Remove pork from slow cooker, remove fatty pieces and shred. Return shredded pork to slow cooker and stir. Serve on slider buns and top with Ranch dressing, if desired. 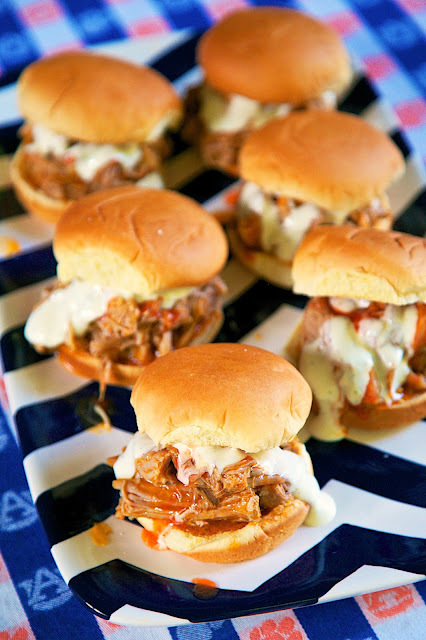 The recipe sounds so easy and good and the sliders look awesome - what time will you be serving them?